So I wasn’t sure if this was post worthy but I figured I like to see ideas for decor especially for small spaces so I figured what the heck!? Here it is. This is my little laundry closet. I live in an apartment for right now (Hopefully, my sweetie will get in to dental school this year and we can move into a house soon! Fingers crossed!) buuut…. I wanted to show you what I’ve done in this small space. I LOVE when people share advice for small spaces because let’s face it I live in a small space! Anywho.. Let me know what ya think! This is the shelf above my washer. Basically, the ONLY space I have in my laundry “room”. Here’s where I keep my Laundry soap, Starch, dryer sheets and Stain Remover. This is my attempt at making my laundry space cute! I got this antique iron from my MIL and I LOOOOVE it. She gave me two of them! Thanks “Grammie!”My mom used to have one in her house and for some weird reason, I love it! It is super heavy FYI. 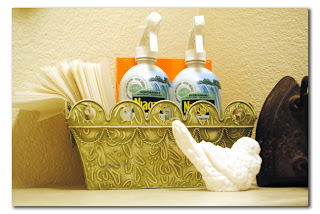 This tin container and birdy came from Goodwill for $2 for the tin and $1 for the birdy. This stores my starch, dryer sheets and stain remover. 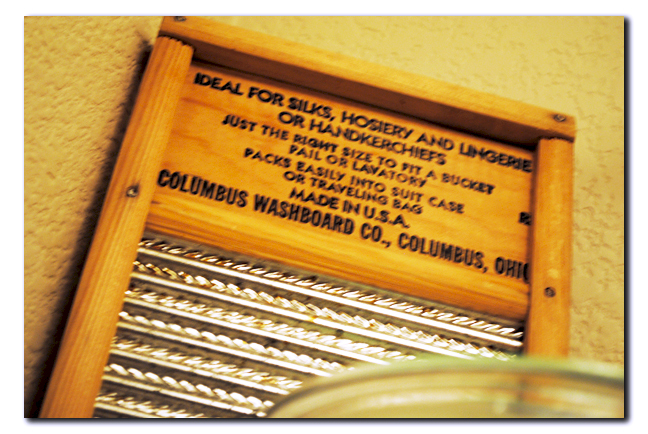 This is an antique washboard that I found at a thrift store last week. It was $1.50 and caught my eye right away. I knew it was meant to be here on this little shelf! 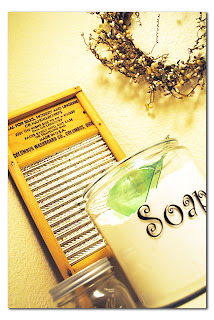 🙂 I made the “Soap” sign out of black vinyl and used a jar that I had broken the lid to, so it worked out perfectly! I want to get a cuter scoop for the soap but this works for now! The wreath also came from goodwill a couple months ago for $4. Moral of the story… Small spaces can be cute too! 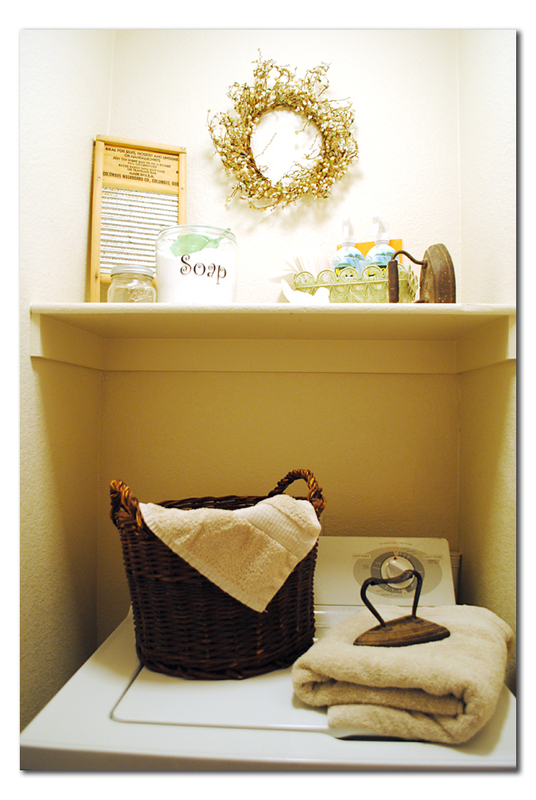 Someday I will have a real laundry ROOM!I’m thinking I need a “Drop your drawers here” or “Laundry…Loads of Fun!” sign under the shelf above the washer….I hear my Silhouette singing from my craft closet! like it? LOVE it! 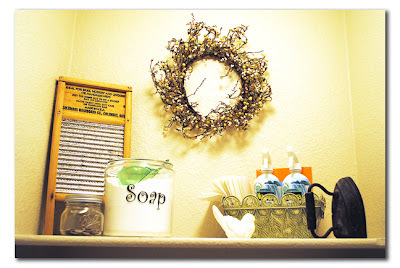 This totally motivates me to do a bit more with my laundry room! Probably the most affordable makeover room in the house! Totally inspired! Thanks! L is for Laundry and L is for Loveit! You have made it such a funky wee space. Who would’ve thought a laundry could have so much character. Certainly has made me rethink my own laundry space. Ciao. so cute!! im moving and my laundry room will be a lot smaller im so glad you posted this! Love your blog! Your laundry closet looks adorable! In many ways, it is more fun to decorate smaller spaces than big, wide open spaces! Love it! 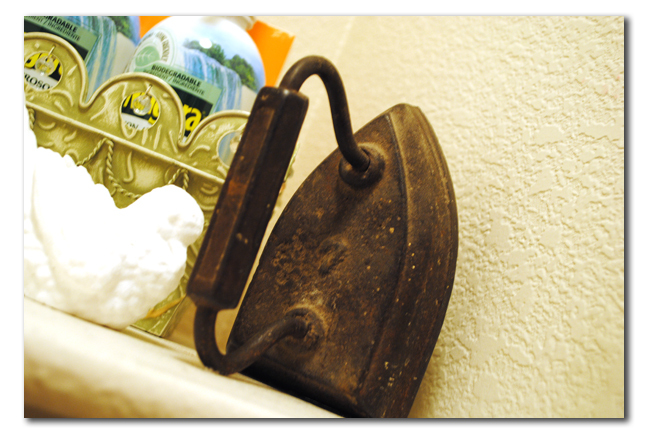 Thanks for sharing your frugal treasures with us. And good luck with the dental school entrance. Great way to create a fun space in such a small area. Love what you did. I wish I had a laundry room to decorate. My laundry area is soooo small I love this post help me to get inspired. Looks like a cute little spot to do your laundry and I think it’s so cute! Such a cute nook. Makes doing laundry a little nicer! Enjoy your small space. I love these..my sister is looking for laundry room ideas and will need this! I’m your newest linky follower from TDC-stop by for a visit!